***I received the following products from June Jacobs in exchange for my honest opinions. All photos are copyright Momma Told Me 2013. Just the other month I was sitting down at an Outback Steakhouse to enjoy an overdue meal with Momma's sister (my Aunt) and my grandfather. The service was lacking, and we found ourselves with ample time to occupy our mouths with conversation. That was when one of the single most surprising remarks, concerning me, was uttered. My gorgeous Aunt, 9 years the Senior of her husband, and measurements to match a Barbie, waved a hand and matter-of-factly asked, "So, what DO you do to keep your skin looking like that?" I was a bit taken off guard, and humbly choked, "What do you mean?" through a string of fried onion. Certainly my diet at this moment wasn't helping my skin any. She pressed forward, determined, "How do you keep your complexion so even?" For a moment I had to laugh, only to quickly cover with a forced cough. 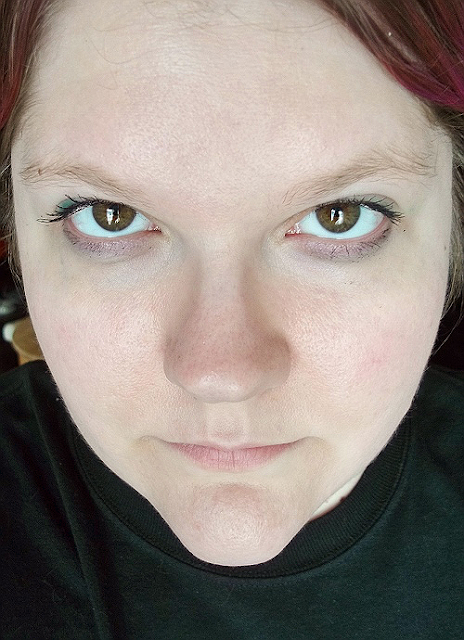 In truth, I am awful about my skin. I've been drinking my 8 glasses of water a day, lately, but I haven't always been so kind to my skin. In fact, if I had to admit, I'd divulge I wash (makeup off) my face, maybe, 2 out of 7 days of the week. Every woman knows there are many factors to beautiful skin, some of them entirely out of our control, others more related to environment and diet. For those with hereditary oily skin, or even the opposite end of the spectrum, dry skin, it can seem like a non-stop battle. June Jacobs, spa inspired skincare helps even out the hills and valleys of bad and clear skin days. These products aren't just high end gimmicks designed for sale in spas; but a thriving brand of Paraben and Preservative Free skincare products that has been around for year. One of the things I especially like about June Jacobs is the commitment to quality through an independently owned manufacturing plant. It's rare you find a beauty brand so involved with the production process! 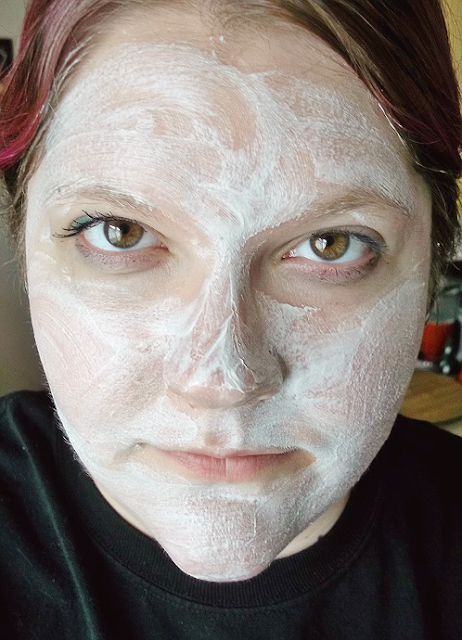 It's no secret I have an addiction to masques, and it will come as no surprise that I jumped at the opportunity to sample one of their most popular products; the Pore Purifying Mud Masque. Just one of 7 Masque offerings by June Jacobs, this mud based compound is more of a milky salve than a thick caking masque. With mid to premium packaging, the generous 4.2oz pot will last several months with weekly treatments. There is no added fragrance, in fact I'd call it virtually fragrance free when you discount the subtle notes of geranium, lemon peel, and rosemary. While the composition is very fluffy and soft, this compound is specifically formulated to open pores and remove dead cells without scrubbing. Because of this I highly recommend it for skin that is prone to sensitivities. Featuring a patent pending blend of three powerful tea strains, the Pore Purifying Mud Masque doesn't dry out skin in fact it, merely dries to the touch, rather than cracking over the skin and 'pulling' on one's face. With a few light splashed of warm water the masque dissolved without scrubbing and left my skin feeling clean and rejuvenated. I tend to gravitate towards heavier 'cake like' masques, but was impressed how light this treatment proved to be for rushed nights or busy mornings. This time around I also had the good fortune of receiving June Jacobs' Lip Kit, consisting of 3 of the brands' most powerful lip care products. Inside this beautifully packaged box, with magnetic seal flap, were 3 half ounce pots of intriguing products. I've been wanting to begin exfoliating my lips for the past year, as the Southern California heat puts them through constant stress; but have ultimately been shy of the concept. Thankfully, this was another case where fragrance was minimal, only the final phase of this treatment had a tangible scent. The Lip Scrub is less of a 'scrub,' in the typical image of tiny beads and sloughing skin; it's glycerin and silica base makes it slightly granular, but ultimately not much rougher than your standard lipstick. The user simply daubs a few spots along their top and bottom lip, then massages the compound into their skin and rinses immediately following. My lips were instantly brighter, likely due in most to increased blood flow, and the detail of my dimples and peaks seemed much more pronounced. The second phase of the Lip Trio was as equally intriguing as the first, a tea infused Kaolin Masque that is intended to cover the entire lip surface, and sits for 2-3 minutes before being washed off. Much like my Pore Purifying Masque, this was a very soft and light masque, like a lotion, and almost fragrance free. While the formula visible tightened on my lips there was no 'pulling' or stiff sensation. In all honesty, the experience of treating one's lips was an odd one; I can't say it's an indulgence for me, though there was no unpleasantry. I've since repeated this, while using the trio in it's entirely, twice since and grow to enjoy it a little more each time. 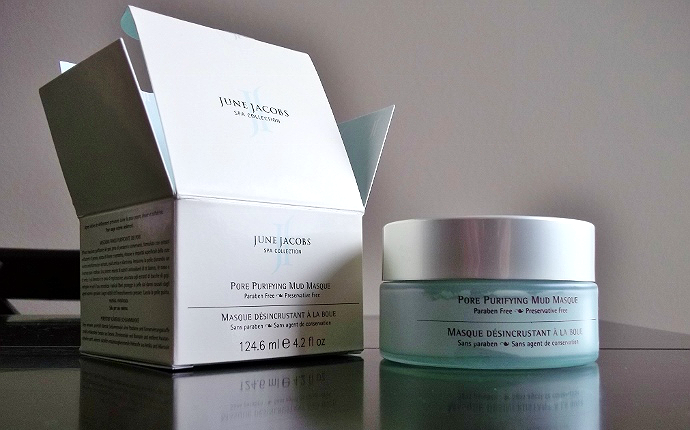 I find myself fighting the tendency to bite my lips while allowing the masque to settle, however, and am reminded that the June Jacobs line is natural and preservative free; a relief in case of minor ingestion. The final phase of the Lip Trio Kit is a Peach and Jojoba oil Lip Renewal which very much resembles a smooth Vaseline. A tiny bit of this product goes a very long way as it virtually melts along one's lips. As I mentioned, this is the only of the three products in the kit that has a fragrance, one that is surprisingly powerful. The aroma's a bit hard to pinpoint but relies on a grapefruit base with a medicinal floral undertones. I experienced no stinging, and the compound actually kept my lips more than soft, but moisturized for hours after application. June Jacobs advises that their Lip Renwal can be applied as many times as desires throughout the day. I did, however, notice that several applications throughout the day made my lips almost anticipate the Renewal. That is to say my lips became conditioned to this serum and I could almost sense when they would began thirsting for it again. 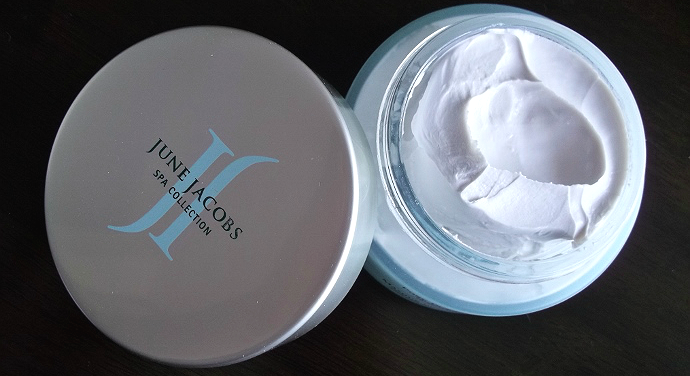 Again, the June Jacobs brand has surpasses my expectations- Their preservative and paraben free commitment makes me more confident in my beauty routine choices, and their mid range pricing makes spa quality skincare available to every budget. One Momma Told Me reader will win June Jacobs June Jacobs Intensive Age Defying Hydrating Cleanser! I wouldy the intensive age defying because I feel like I look old for my age. I would also love to try the PEPPERMINT HAND AND FOOT THERAPY! I would like to try the Intensive Age Defying Hydrating Cleanser! I want to try the sun at our day shield. I love a good SPF! And the lip moisturizer is something I would definitely use. Thanks for the giveaway! I love to try the cooper serum! Would like to try the INTENSIVE AGE DEFYING BRIGHTENING EYE CREAM. I would also love to try the ELASTIN COLLAGEN SERUM. I would love to try the RADIANT REFINING EXFOLIATING POWDER. I would like to try ADVANCED SUN RESISTANCE SPF30. The Advanced Cell Repair Serum is right up my alley. 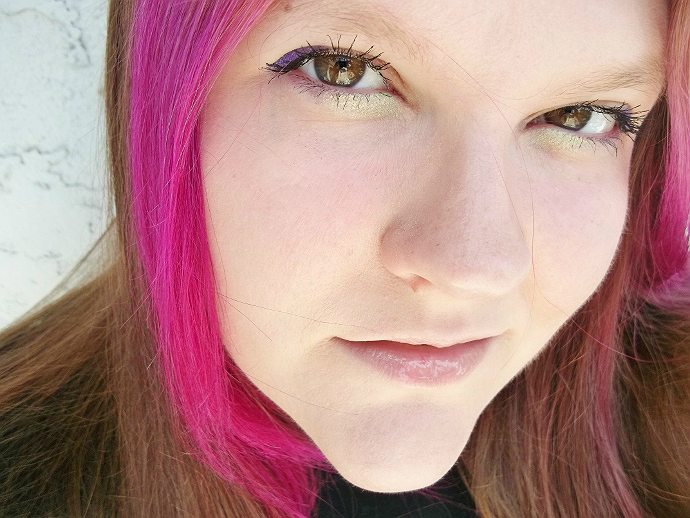 I need the Redness Diffusing Serum, because I have redness. I'd like to try INTENSIVE AGE DEFYING BRIGHTENING EYE CREAM. I would like to try the Vanda Orchid shower gel.